Celebrate your gal pals this weekend with this inspirational Galentine’s Day Brunch tablescape + bar cart! 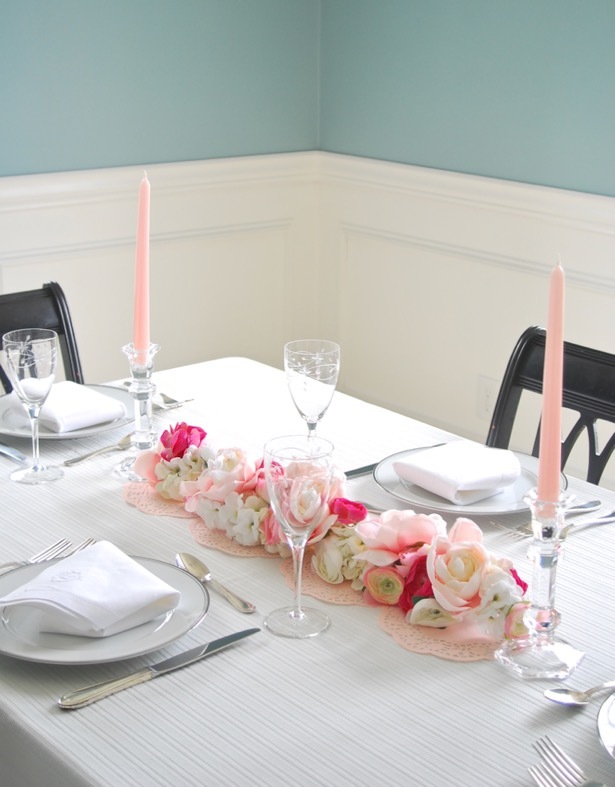 Decorate in pink and white with a gorgeous floral garland and fun conversation hearts. A very important holiday happen’s next week, and no I don’t mean Valentine’s Day. This holiday is all about ladies celebrating ladies or in more blunt terms “ovaries before brovaries”! That’s right it’s Galentine’s Day on February 13th – the day Leslie Knope from Parks and Recreation so brilliantly designated as the day to honor your female soulmates. So get your gal pals together and celebrate your friendship over a big brunch with mandatory waffles and mimosas! 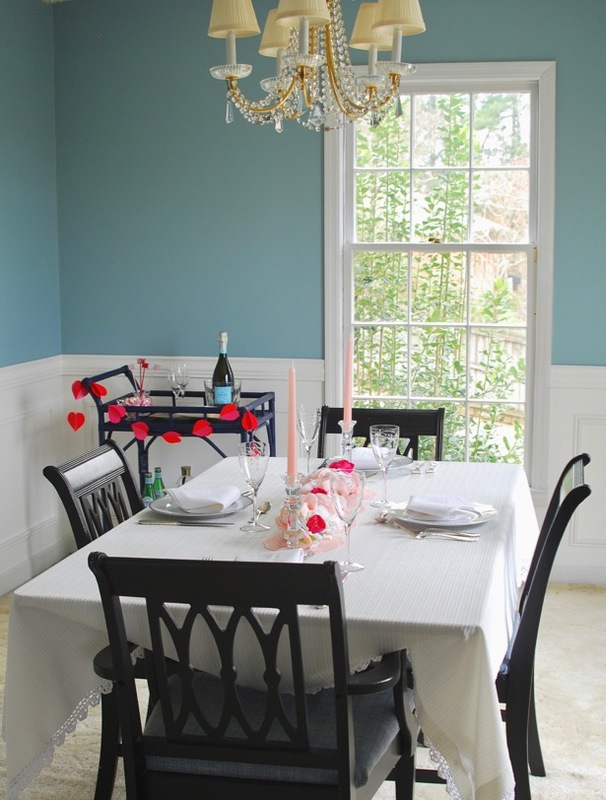 To help inspire your celebration I’ve created a lovely, feminine Galentine’s Day brunch tablescape + bar cart filled with gorgeous roses and ranunculus, a soft pink and white color scheme, and conversation hearts, which are perfectly acceptable for brunch. 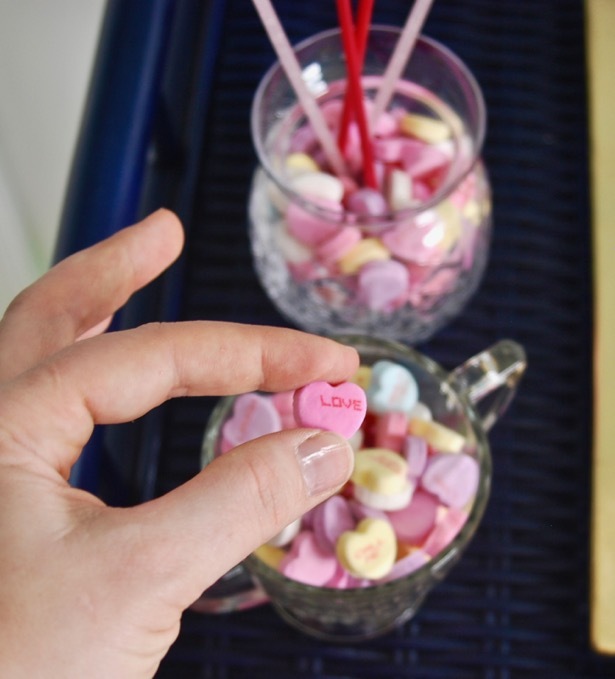 I mean who doesn’t love conversation hearts? 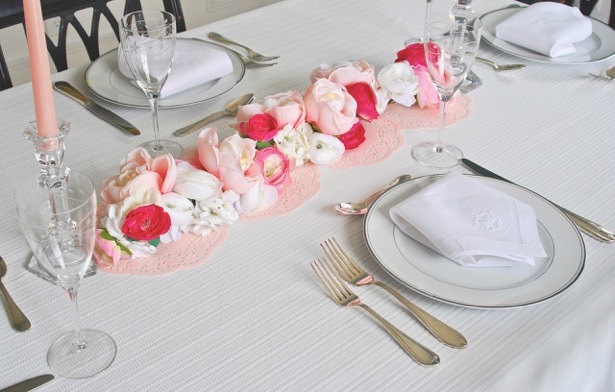 Plus this ultra pretty table runner I made out of faux florals for an easy DIY garland will totally wow your ladies! A soft pink and white color scheme for this Galentine’s Day brunch tablescape + bar cart creates the perfect atmosphere to make your gal pals feel special. 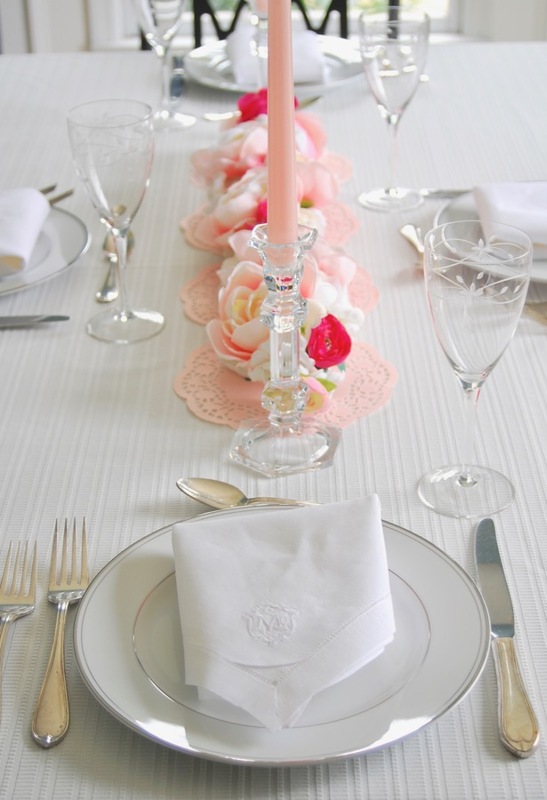 It is feminine and elegant but still fun. 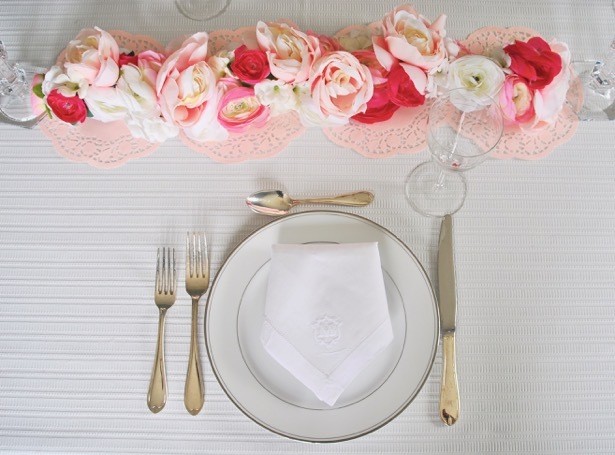 I layered a beautiful white textured tablecloth with monogramed linen napkins and pink dollies to start. 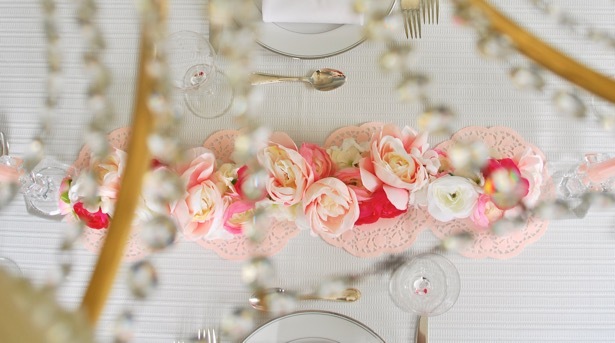 I wanted to keep the centerpiece simple but make it pop, and I had been dying to try a floral garland. I just love how it turned out. 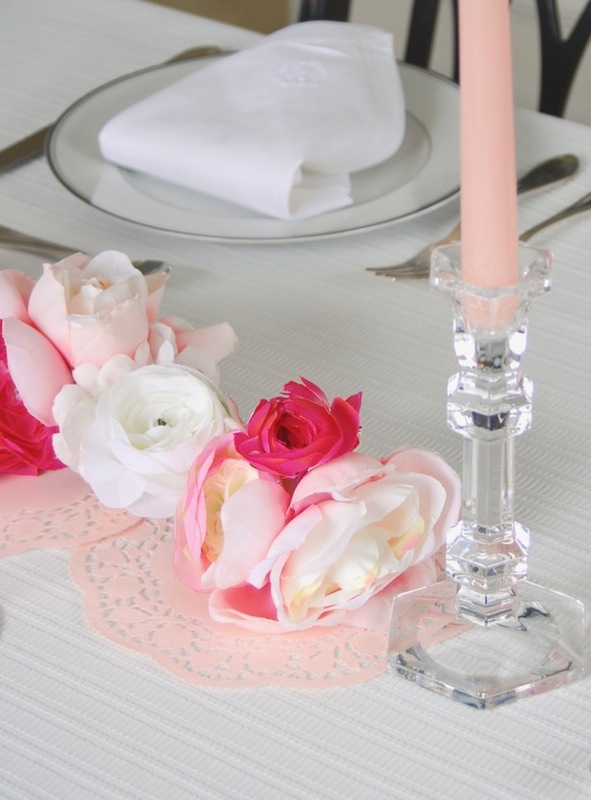 The best part – it’s made from faux flowers, so I can reuse it! See how I made it here. 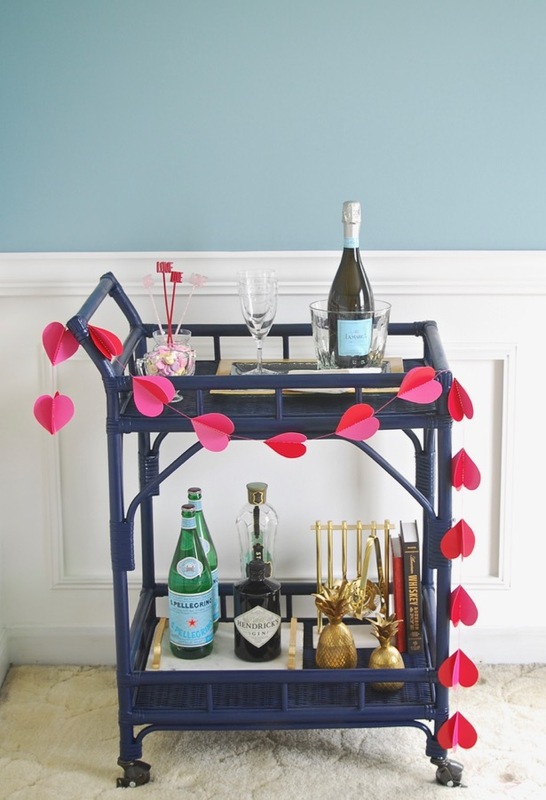 For my Galentine’s Day brunch bar cart, I went a bit more loud with the decor, using this paper heart garland I found at Target. 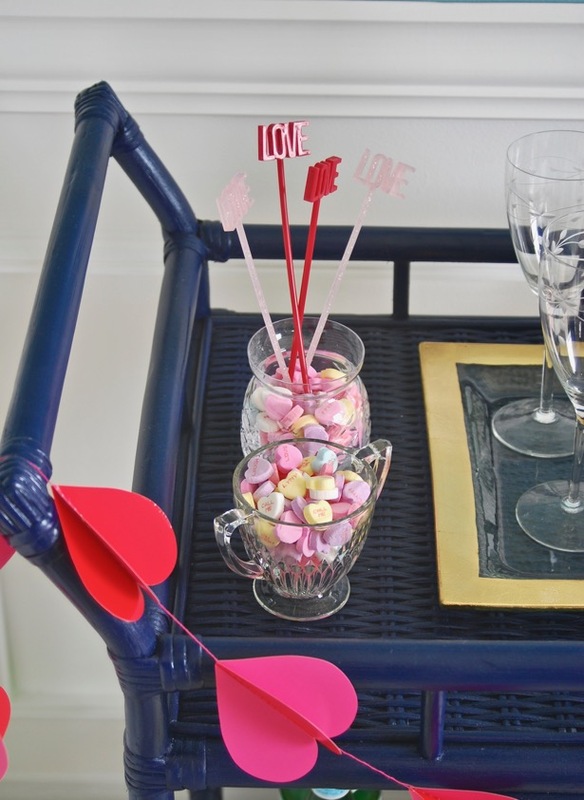 I filled two pretty glass jars with conversation hearts, stuck in these cute love drink stirrers, added some bubbly, and voila – the perfect bar cart for celebrating kindred spirits! 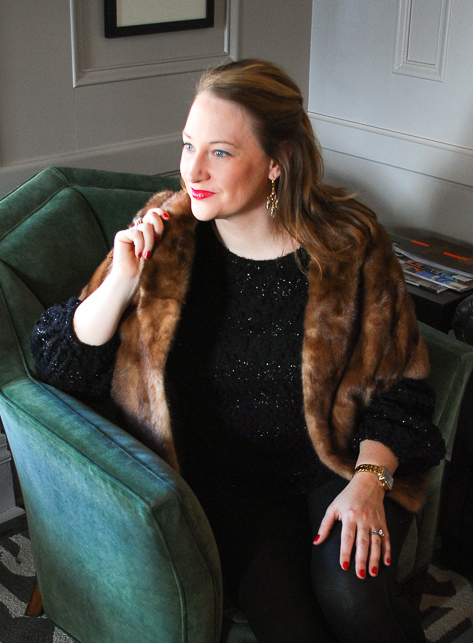 I hope you feel inspired by my Galentine’s Day brunch tablescape + bar cart to throw your own celebration! But regardless of whether you host brunch or not, take the time next week to honor your female friendships and let the ladies in your life know how much they mean to you. We women need to stick together after all and help empower each other! 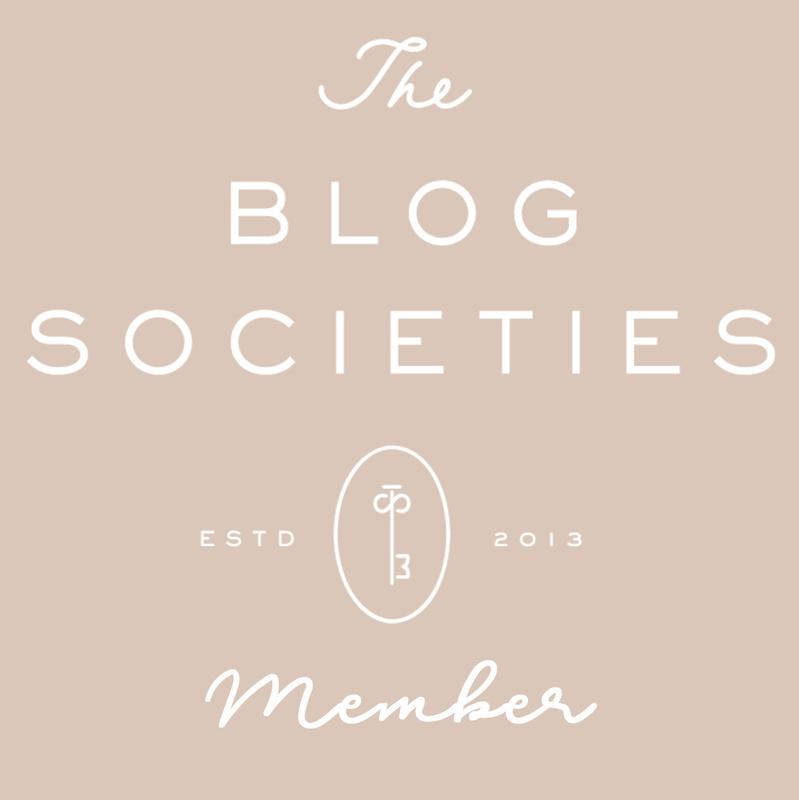 Cheers to all you fabulous ladies and my amazing soul mates! I hope you know how much I cherish your friendships! 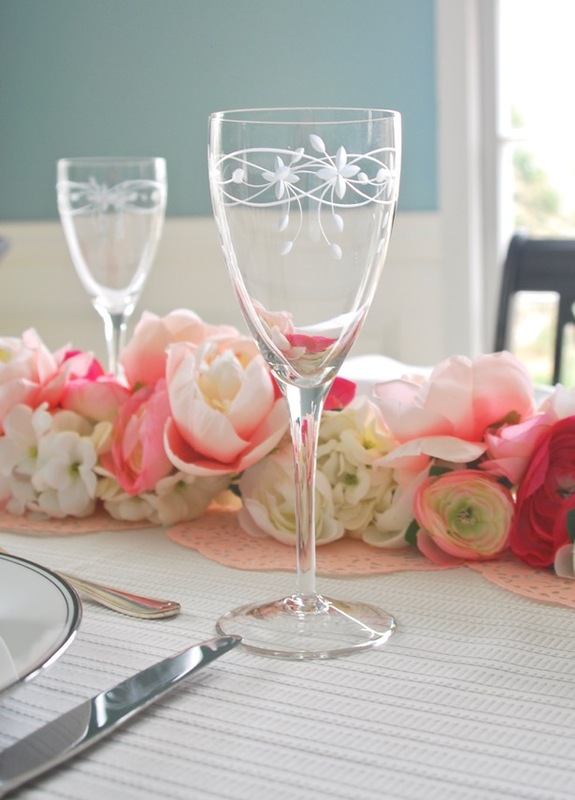 The centerpiece and stemware are so elegant together – love it! They are a perfect combo! Thanks!